ItalianAllegria will take you to the heart of the most famous horse race in the world. 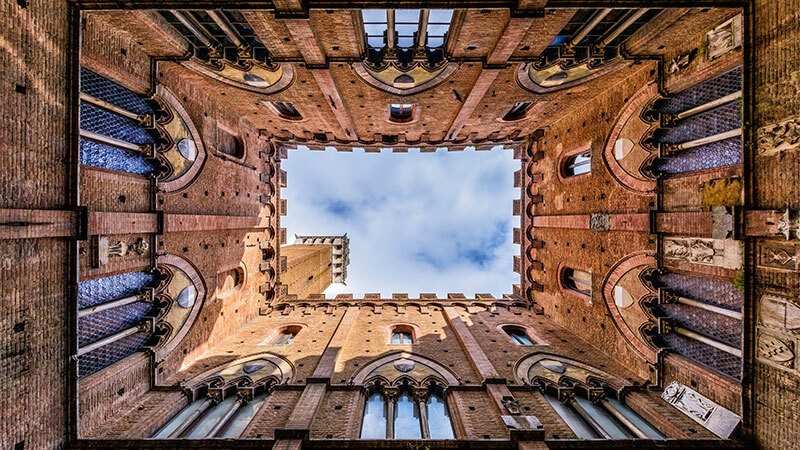 Witness the Palio di Siena action and the festivities surrounding it from a private balcony of one of the gorgeous sixteenth-century homes overlooking Piazza del Campo. We invite you into one of the most exclusive and charming historic homes in the city. Here, you can taste the best of Italian cuisine either with light refreshments or a full dinner after a day of excitement. Participate in the rituals and traditions of the Palio di Siena by experiencing it first hand, not just as a tourist but as a local. Places are limited. Contact as soon as possible for more details. What is the Palio di Siena? For more than 800 years, the Palio di Siena, the oldest horse race in the world, has been celebrated in Siena’s main square Piazza del Campo. It is a centuries-old tradition that pits 10 of the 17 city contradas (districts) against each other in a race that is worth more than just a simple victory. For the people of Sienna, winning the Palio means demonstrating the superiority of one’s contrada, and a chance to mock the losers. Festivities and preparations begin four days before the race, and the city is transformed into one continuous celebration, from parades to events and religious rites. What makes the Palio di Siena unique is its importance to the locals. It is not just a tribute to the past or a simple masquerade party but an authentic tradition that has been preserved for more than 800 years.